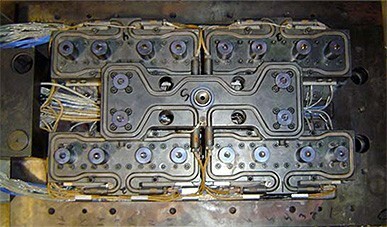 Hot Runner Refurbishment Process – Steps 5 – 6 – Thermal-Tech Systems, Inc.
Incoming work is usually accompanied without prints or wiring details. Our technical staff documents all incoming attributes of each job and follows through each step with our customer in solving problems with rush deliveries in mind for all valve and pin point gate systems. We warrant all of our refurbishments. Following our cleaning methods we use articulating fiber scopes with video capability for final internal inspections prior to assembly on manifolds, which can be reviewed via the internet with our customers. 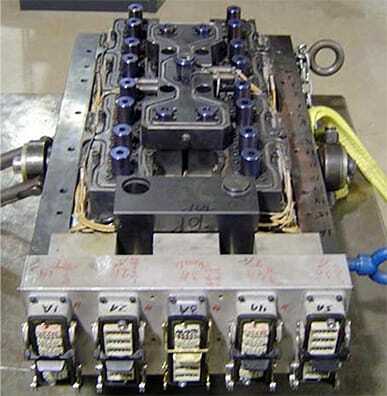 We are the most competitive service oriented hot runner repair house in the industry supporting all brands of systems with many rush manufacturing capabilities on all heat, sensor, and machined components with significant savings. Many of the most popular parts are stocked for our immediate repair services. Let us evaluate your next hot runner preventative maintenance, or problems. Let us be your hot runner service partner.